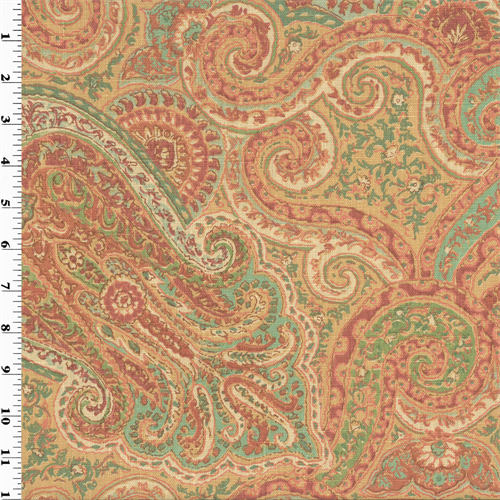 This fancifully organic paisley print from Laura Ashley uses a pallet of beige, orange, pink, red, turquoise, and ivory. It incorporates areas of glitter pigment for a subtle glint to the fabric surface. The design is fashioned on a linen plain-weave fabric and is versatile in many home decorating applications, from drapery to seating.